Critical to retail success is to have focus, to have a position in the market, have a strategy to win customers and move product. That’s merchandising in a nutshell. 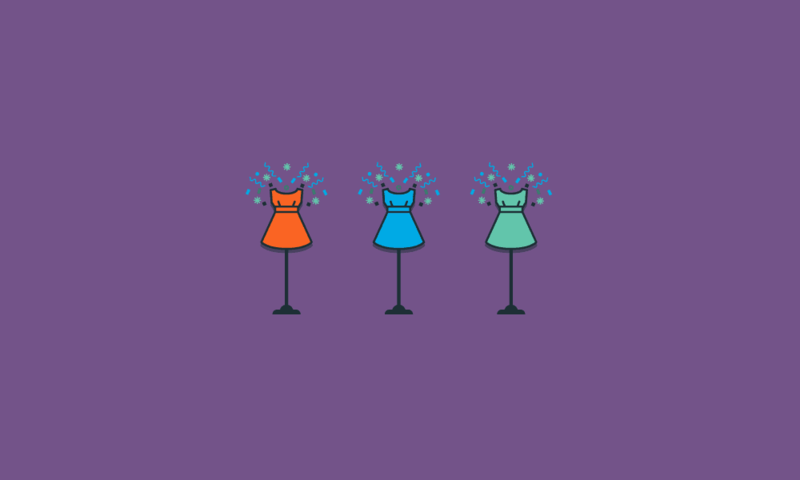 Retail merchandisers should think of themselves like curators at a museum. A curator doesn’t just amass a collection of endless art and artifacts and stick them on the wall in a hodgepodge manner. They look for certain themes and commonalities and create a collection that will showcase each item, drawing attention to each one’s unique qualities and maximizing the potential for visitors to enjoy what they see. They also do what they can to drive more people to want to see the exhibit in the first place, and hopefully bring home a few things from the gift shop. Successful retail merchandising professionals think about their work in the same way. Fashion merchandisers bring together specific collections based on the season, the function or the designer. Electronics merchandisers curate items by functionality, popularity or wow factor. Toy retailers curate based on age groups, colors and the season’s hottest releases, all with the goal of driving maximum sales and profitability. There are times where merchandising can include cross-over products that complement their primary offerings. For example, grocers are primarily providers of food, but many of the larger stores will offer some related general merchandise. The grocery stores near my house also sell basic kitchen items, like pots and pans, spatulas and spoons, even plates and eating utensils. Some have even started carrying clothing and gardening supplies (you know – so you can grow your own veggies and herbs). Similarly, since an electronics retailer sells items for watching movies — TVs, DVD and Blu-Ray players, surround sound systems and DVDs — it makes sense to sell movie snacks and soda as well. On the flip side, the grocery store might start selling DVDs for family dinner nights. But if the grocery store started selling major electronics like TVs and stereos, that might not particularly go over well because it would be too far out of the grocer’s domain. Merchandise within the store or on the e-commerce site should take into account consumer intent. Would a customer come to you for that item? Or would they trust someone else more? For example, would you ever want to make a stop at Best Buy or Circuit City to buy milk? Would you trust milk from a store with a primary focus on electronics? That’s getting to the heart of consumer intent. These are extreme examples, but I used them to prove a point: Stepping too far out of consumer expectations for merchandise offerings can at least result in “misfit” stock that won’t sell and cost a lost, and at worst can trigger consumers to question your credibility even with your niche categories and offerings. Even within your core categories. 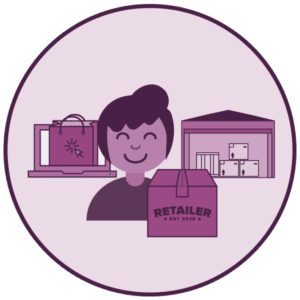 Retail merchandisers also want to offer enough tried and true products, the ones they can rely on and that the customers want week after week, season after season, or year after year. Basically, the products that you can rely on always selling — milk and eggs in grocery stores, TVs and smartphones for electronics stores, and new beachwear every springtime in clothing stores. But they also want to try new products that they think could appeal to their customers, and hope they picked a new product that will sell well, instead of experimenting with something that just flops or fails to meet initial expectations. This is where your point of sale data analytics and sharing that information can make a big difference for both retailers and their suppliers. Retailers who are thinking about adding new products can bring a new supplier’s line into a few stores, or even introduce it into their e-commerce store and pair the line with their related products through a “You might also like” type of feature. Then the retailer can look at their point of sales data and see which products are having an impact and which ones are coming up short. The products that do well can be brought into more stores, and the sales further monitored. By sharing POS data, suppliers can also have line of sight into that to make quick recommendations to retailers on those test product. Similarly, suppliers and retailers can share sales data to show what works and what doesn’t. When a supplier is pitching to a new retailer, they can help make their case if they show how similar retailers have performed with those same products in their own stores. Similarly, retailers can show suppliers their own sales data to better illustrate their merchandising needs in terms of products and promotional efforts. Finally, data can give an overall look at what the market is doing beyond the single brand, retailer’s or supplier’s, and what trends are taking place. Retailers and suppliers should both have access to this kind of industry data, but it could be advantageous to collaborate and put your heads together for the best approach. If you’re trying to add a new category for strategic reasons, such as when Walmart and Target both added grocery sections and when J.C.Penney started selling appliances (again), there are some other, different things to consider. But that’s a post for another time. To learn more about collaborate on point of sales analytics to help with your merchandising, please visit the SPS Commerce website and request a free demonstration, or speak with one of our retail experts.